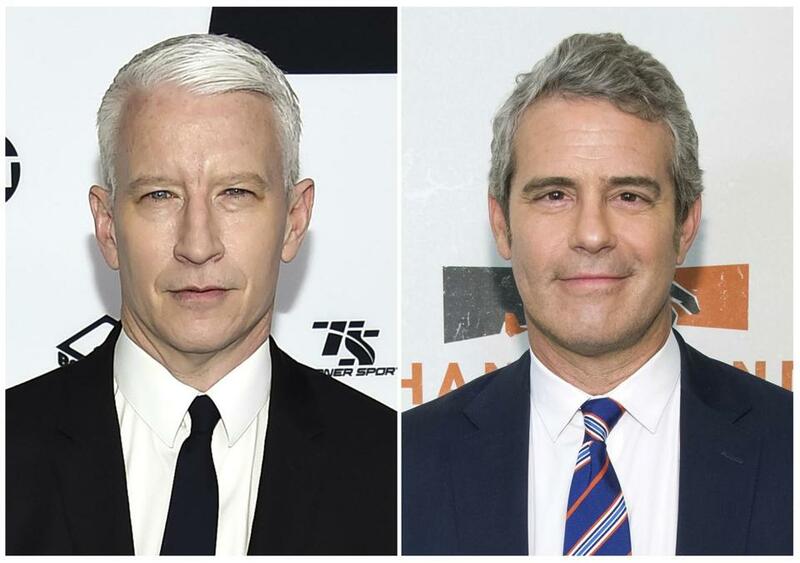 CNN’s Anderson Cooper (left) and Bravo TV’s “Watch What Happens Live” host Andy Cohen will appear at the Boch Center Wang Theatre Feb. 10. What’s odd is that the New Year’s Eve show wasn’t the first time Cooper, the host of CNN’s “AC360,” and Cohen, the executive producer of Bravo’s “Real Housewives” series, have appeared together. Indeed, Cooper and Cohen have been doing shows together for the past few years, interviewing each other on stage in front of a live audience. The pair’s first show was in Boston in 2015, and they’ll be back at the Boch Center Wang Theatre Feb. 10. We spoke to the pair on the phone a few weeks ago. Q. So you’ll be in Boston next month. Do you happen to know the date? Cohen: I’m sure there’s a crack research team at the Globe that can track that information down. Q. In fact, there was an Oscar-winning movie about the crack research team at the Globe. Cooper: Yeah, put the Spotlight team on it. Q. How did this show come about? How often do you do it and aren’t you sick of each other? Cooper: Boston was the first time. It was kind of a test run. Cohen: And we’ve done about 35 cities since. It’s evolved. And no, we’re not sick of each other. Q. How has it evolved? Cooper: We see it as a peek behind the curtains of the worlds of pop culture and news. People come up to us and say they’d like to go out drinking with us or have dinner with us, and that’s what this night is, basically. We’re two old friends hanging out with several thousand people in a theater telling funny stories. It’s not a night of politics. I deal with politics all day. I think most people who come out want to have a night out that’s not political. Just a night of laughs. Q. Andy’s an inveterate gossip, but Anderson has the affect of a serious newsman who’s ignorant of the “Real Housewives” stuff. Where do you overlap? Cohen: I think people have been surprised by how loose and funny Anderson is. Cooper: Andy actually believes our worlds are overlapping more than ever before because his world and my world have meshed. The world of politics has become the world of reality television. Cohen: All those [Republican] debates in 2016 were like “Housewives” reunions. Q. Do have a few greatest hits in terms of the stories you always tell? Cooper: We definitely know what stories work well. When we first did this in Boston, we had no idea what the format would be. People can ask questions at the end, and when we first started, that could go off the rails. When someone asks a question, it has to be fun for everybody in the room. Q. 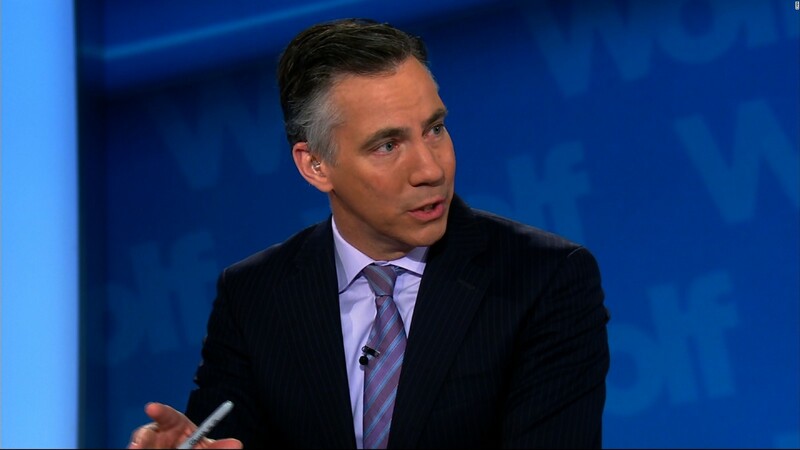 So if I show up and ask about Jim Sciutto’s hair and why it’s two-tone? Cooper: You could ask that question but I have not given that any thought. There might be a funny answer. Q. You say this is a peek behind the curtain, but it’s only a peek so far behind the curtain, right? Cooper: We like there to be a cone of silence. This is a conversation between us and the audience and we ask people not to tweet stuff out that we’re talking about. People have been remarkably cool about not sharing stuff. We tell stories that, frankly, we wouldn’t tell on television, and people have been cool about not repeating it. Q. I know people are tired of politics, but don’t they want some of that, too? Cooper: We find that people want something other than what they’re hearing every night on television. They’re coming for a night of entertainment. There’s a bar that’s open during the show and people may have had a drink beforehand. This is not a lecture. Q. Comedians say Boston is a proving ground. Are there geographic areas where some stories work better than others. Cooper: Absolutely. You can tell in the first 30 seconds how the entire night is going to go. One of the exciting things about doing a live event is what the energy and acoustics of the room are like. It all contributes to the mood of the crowd. Q. Thanks. We’ll probably run this as a Q&A before the show. Cooper: Hopefully the Spotlight team can come up with the details.